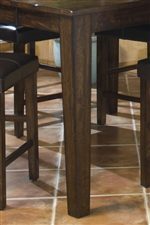 The design of this beautiful cocktail table is charmingly simplistic which allows the stunning quality of its woodwork to truly stand out. Solid mango woodwork is hand-distressed with raisin finish, giving it a classic antique-like aesthetic. 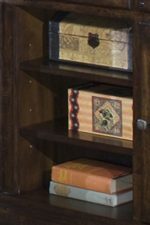 The center drawer is a great place to store remote controls, magazines and reading glasses. The Kona Mango Wood Coffee Table by Intercon at Gallery Furniture in the Oregon, Portland, Clackamas, Washington, Beaverton, Northwest, Vancouver area. Product availability may vary. Contact us for the most current availability on this product. 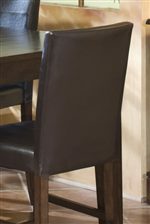 The Kona collection is a great option if you are looking for Transitional furniture in the Oregon, Portland, Clackamas, Washington, Beaverton, Northwest, Vancouver area.